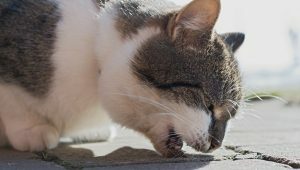 If you own a cat--or one owns you--you’ve almost certainly heard the hacking sounds and cleaned up the unpleasantness that accompany coughing up a hairball. While hairballs are a common malady among felines, they can occasionally be serious. National Hairball Awareness Day: When Are Hairballs A Problem? 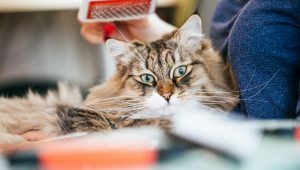 National Hairball Awareness Day--the last Friday in April--serves as an annual reminder for all friends of felines to learn a bit more about hairballs and evaluate the health of their cats. Here's what you should know! Looking for the perfect miscellaneous item for your cat? 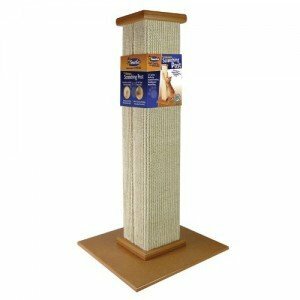 Take a look at this high-quality brush, incredibly tall scratching post, and a gel that helps reduce hairballs.